Quick flights from any UK location. Everything arranged for you by our friendly Operations Team. Our friendly Operations Team have over 15 years experience arranging itineraries to suit every possible route and with our flexible booking system, you can depart at a time that suits you. Call them on 01256 635000 or use the form below to get an instant estimate from your current location. Countless heart-in-mouth, screaming-until-you-can’t-speak moments. Newbury Racecourse is ready to play host once again to one of the biggest jump racing festivals and premier social events of the season. Travel to the event in luxury, land in the middle of the course and have a sophisticated end to the week, where you only have to focus on fine tastes, exquisite sights and the exhilarating races. With a 25 minute flight from central London, or a place most convenient for you, it is always better to book early so please call our Operations Team as soon as possible on 01256 635000. You won’t find a better place to watch the action than in the award-winning Hennessy: a panoramic restaurant offering fine dining and an unrivalled view across the final furlong and of the winning post. Our Operations Team can reserve a table or private hospitality box should you require one. For a more relaxed and informal experience, without the need for reservations, try The Brasserie, which offers a fresh seasonal menu, including brunch. If all the cheering leaves you in need of refreshments the Moet & Chandon Champagne Hall affords the opportunity to enjoy a sophisticated tipple with views overlooking the Premier Enclosure. You can also enjoy a huge range of activities off the track. There is live music, shops, masterclasses and racing focus sessions to get involved in. After the festival wraps up, the White Room After Party is free to all racegoers. Atlas Helicopters will pick you up from a location near your home or office, and flexible booking allows you to head home earlier or later if you wish. 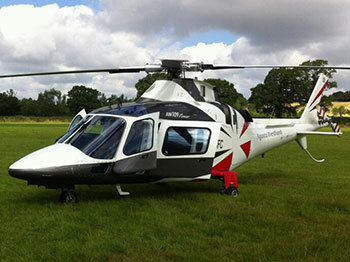 For more information on the Newbury’s Jump Racing Festival and how Atlas Helicopters can help you arrive in style, get in touch with our friendly team on 01256 635000.